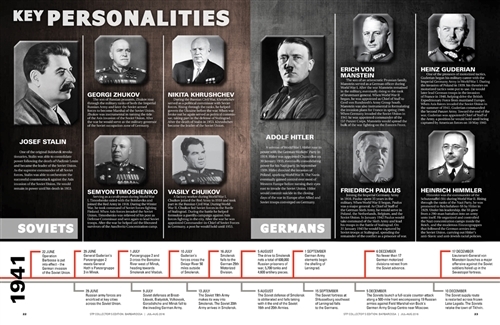 The 1941 German invasion of the USSR ignited a firestorm that engulfed some 26 million Soviet and 9 million German lives, making it the decisive European theater of World War II. 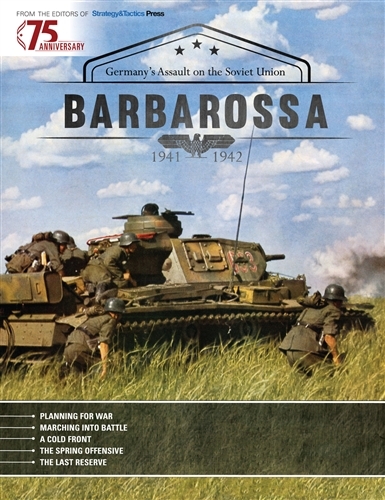 Arguments as to whether the Germans had a realistic chance to win their war in the east continue among historians to this day. 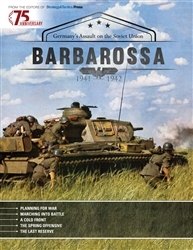 Barbarossa is written by well-known military historian John Burtt. 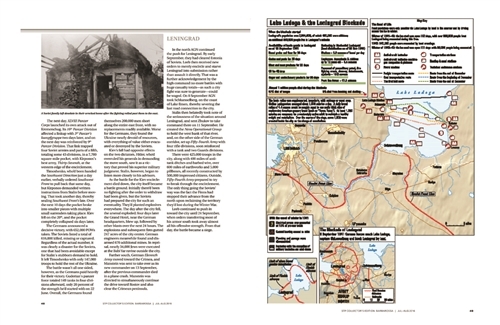 Presented in 116 pages a chronologic textual and cartographic analysis of that terrible conflict’s first half, from the day the Germans first crossed the border to the surrender of their Sixth Army in the Stalingrad pocket early in 1943. 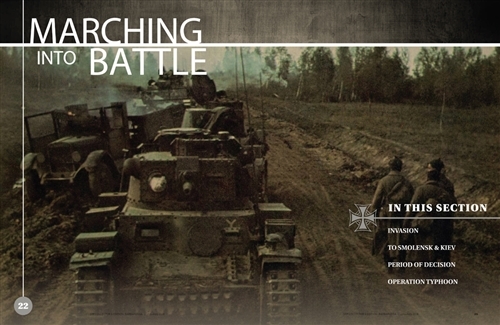 There are over two-dozen full-color and highly detailed maps, along with orders of battle and dozens of period photographs, to further support text. 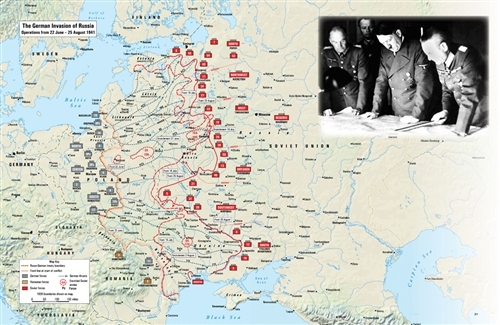 The section headings are as follows: German Command Structure, German Planning, German Assessment of the Soviets, Soviet Command Structure, Soviet Planning, Analysis of Initial Forces and Plans, Final Run-Up to War, Initial Battles, Smolensk and Kiev, August 1941, September 1941, Operation Typhoon, Into Crimea, Late October 1941, November 1941, December 1941, 1942, Pause, May 1942, June 1942, Operation Blue, August 1942, Into Stalingrad, Developments Elsewhere, October 1942, Operations Uranus and Mars, Overarch.